Oh my, I couldn't wait to ink up these stamps when they arrived! 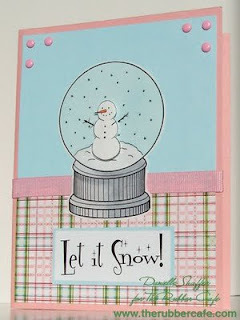 Christmas Cheer is such a great Christmas Stamp. 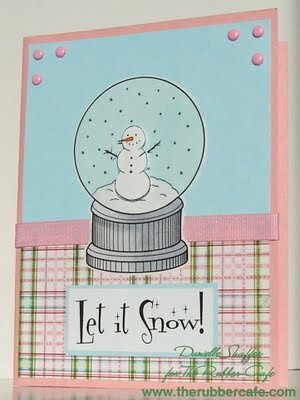 The image is quick to colour and easy to stamp. 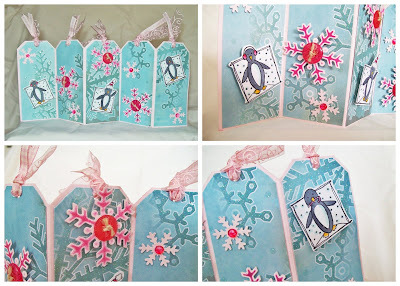 The Easel Card is extremely easy to make, much to my surprise, and I think that I'm going to make a few more like this. 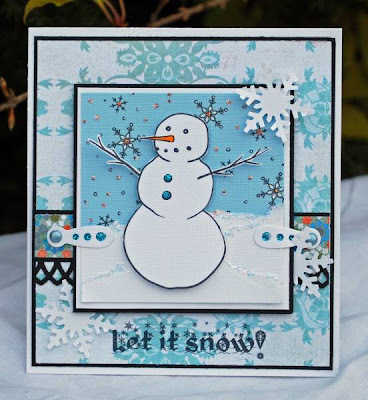 I kept the card simple, so that the focus is on the image and the design. I assembled the flowers before I put them on the card...gotta love my glue dots! Same with the button on the inside of the card. My sentiment is Seasons Greetings 2, and I can see this one getting a lot of use this year. It's beginning to feel a lot like Christmas! 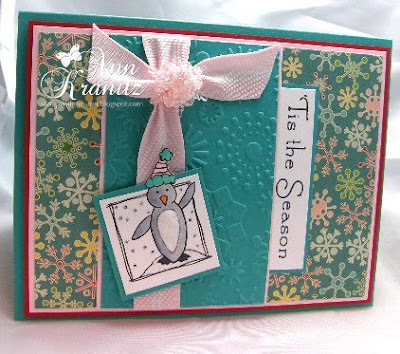 Accessories: Prima Holiday Poinsetta's, Misc. Button, Misc Waxy Flax. Hi all…hope your week is starting out well. We here at The Rubber Café are on our way to a new location. 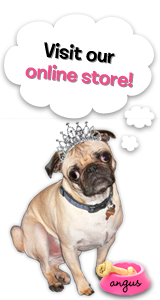 We are very pleased and excited about this transition; however, it means that we'll be unable to provide mail order service until Monday November 30th. Thank you for your patience. Feel free to contact us if you have any further questions. Happy Stamping from The Rubber Café Staff. I'm not scheduled to post until Wednesday, but I got this card finished and just couldn't wait to show you. 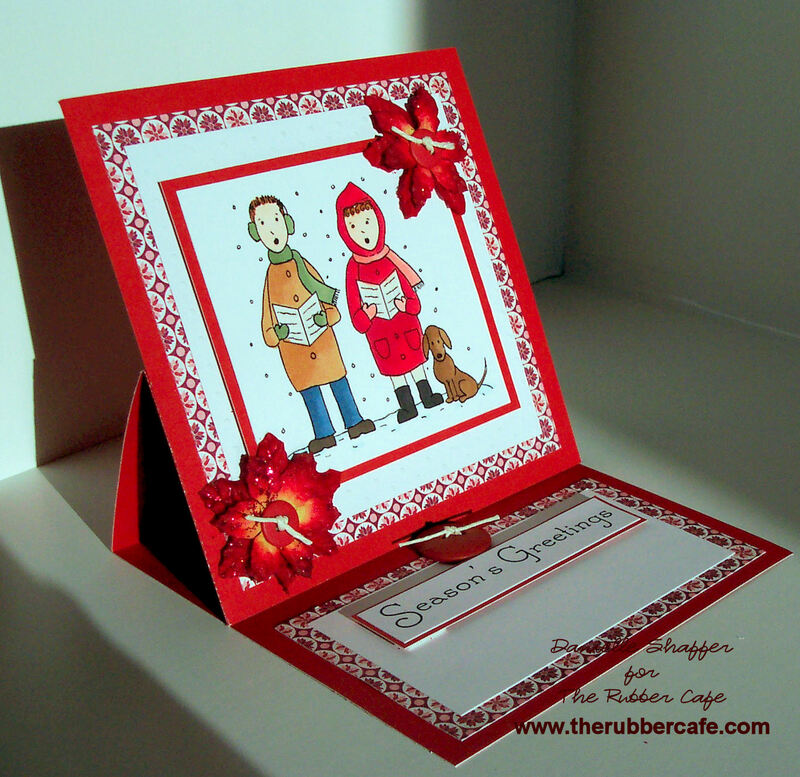 An online friend of mine, Christyne made her very first sketch and I used it to create this cute card. First, I stamped Stella and Angus Life Is Better With You on GP110 with my Memento Ink. I coloured the image with my copics and matte'd it with the pink paper. Next, I broke out the brand new Nestabilities and created my sentiment (which I printed on my computer) and cut out with my Nesties. 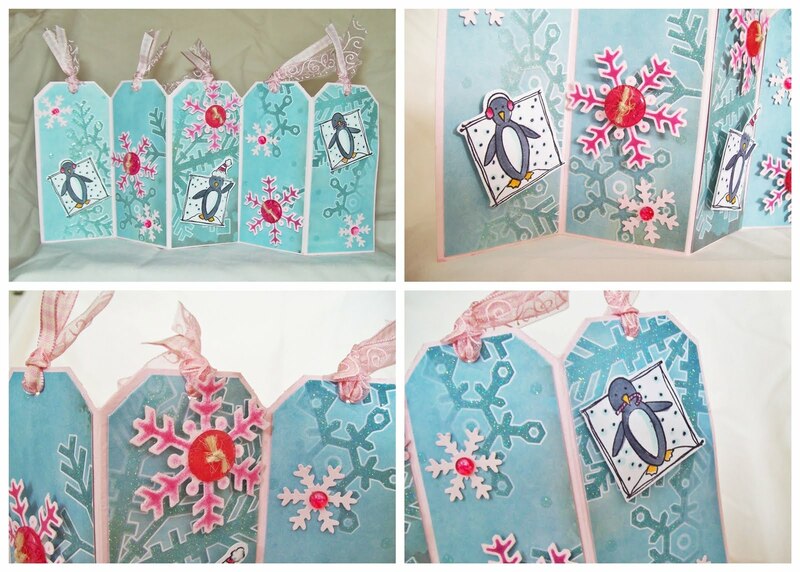 My goal recently has been to use up some of my scraps, so I'm not sure where the patterned paper is from, but it fit nicely with the colours that I was working with and looked so much better than a plain background. I have to tell you that I love this image...it is just so versatile. The fact that it fits nicely on a 4x4 piece of paper is a bonus in my opinion. It is the perfect image for notecards...colour the image, matte it and you're done. I hope that you like my card. The sun was finally shining here, and it definitely shows in my photo. Yeah for sunshine! Wow, can you believe it's going to be winter soon? I know for some that just means the weather turns a little colder, but here in Thunder Bay, Ontario we're already wearing winter jackets! Thank goodness for the time change, the kids absolutely despise catching the morning bus in the dark. And speaking of the dark, I found this great project to add a little light and warmth to our home. It's called a Paper Bag Lantern, and it was so easy to make. You can find instructions here. I used Bo Bunny' Kitchen Spice Ginger Paper and some matching Prima Flowers. Best of all? I used Pumpkin Face Mix-N-Match to make this beauty! I stamped the pumpkins on some Bazzill cardstock and then sponged one side to add a little bit of dimension. I used my Nestabilities to cut the ovals, and then added a little bit of vellum. I'm not sure how well you can see it, but on the flower on the right side of the Lantern, the brad matched the flower almost exactly...that's because I used my Copics to colour it! I had heard of this before but never tried it. It worked great and was super easy. 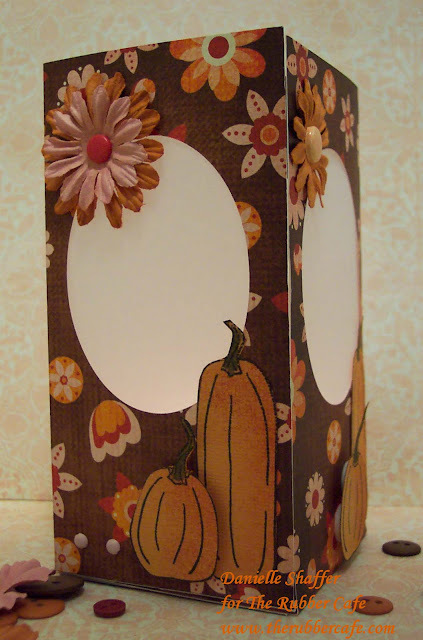 I'd love to see your Paper Bag Lantern...hop on over to Splitcoast for the instructions, then link your here so that we can all check out your work. I love this Grass Edge image....it is so natural looking, and with our windy Wisconsin weather these days, I can just see it blowing in the wind! 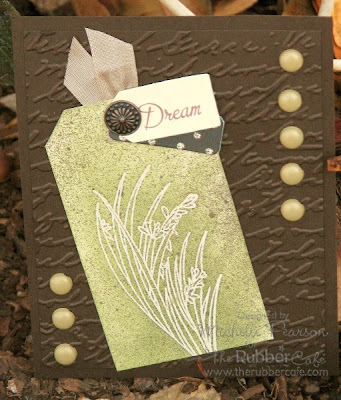 To achieve this look I clear embossed the image on a cream tag. 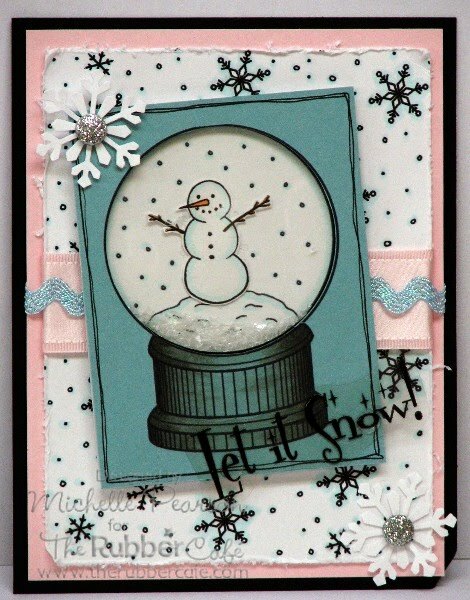 Then I applied distress inks and some Adirondack Espresso Color Wash. After it dried I placed the tag between two pieces of cardstock and ironed off the clear embossing powder. It leaves this wonderful resist effect.